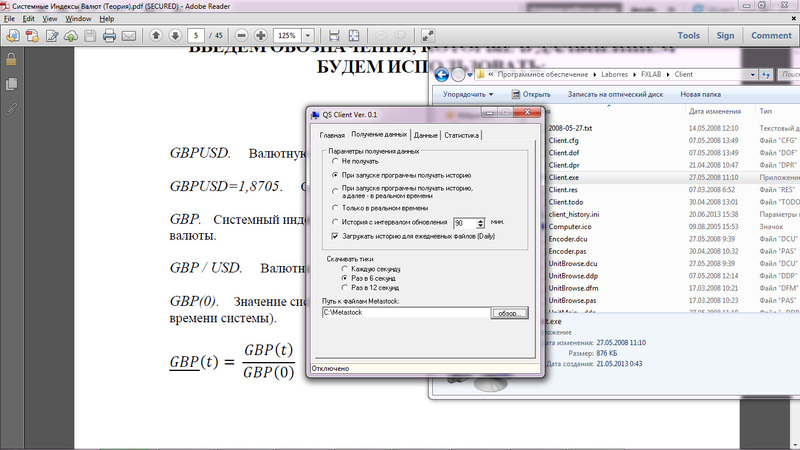 Development of software for the search and use of regularities, which are subject to the Forex currency market. Several currencies are calculated as an isolated system, and as a result, the ratio of the two system indices corresponds to the quotation of the corresponding currency pair in the interbank market at any time. The received quotes are transferred for further work in MetaStock, several other editors, and also appear in the built-in component.